Monuments and Markers in Southwest Missouri | Wommack Monument Co.
"For those you love, crafted by those who care"
Wommack Monument Company is the largest monument company in the state of Missouri, and is likely the only one to offer a written perpetual guarantee. 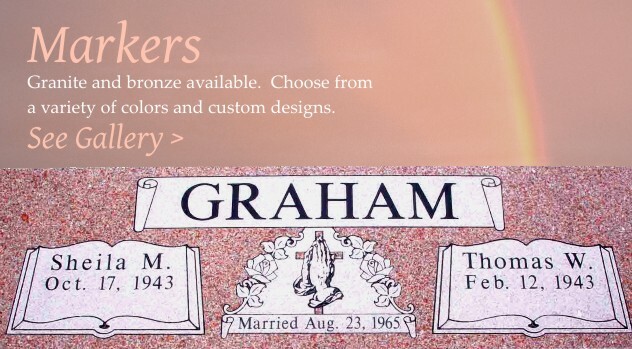 We craft monuments and markers from the finest granite and bronze materials, with artists available to produce unique custom creations. 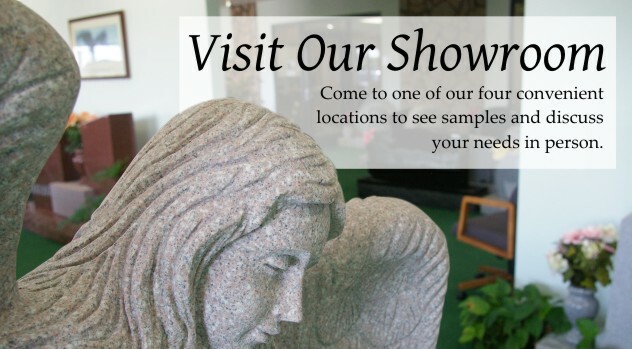 Before making any decisions about a memorial, please take time to visit the Wommack Monument Company showroom nearest you. Our sincere desire is to provide you and your family with the quality and value you expect and deserve. And selected representatives throughout Southwest Missouri - please contact us for your closest area representative. The history of Wommack Monument Company spans three generations of the Wommack family, starting when our first location opened in 1954. Today we have four locations in Bolivar, Springfield, Aurora, and Monett - plus select representatives serving fifty Missouri counties as well as areas of Arkansas, Kansas, and Oklahoma. In addition, working through our network of qualified business contacts we can complete your monument in all fifty States. 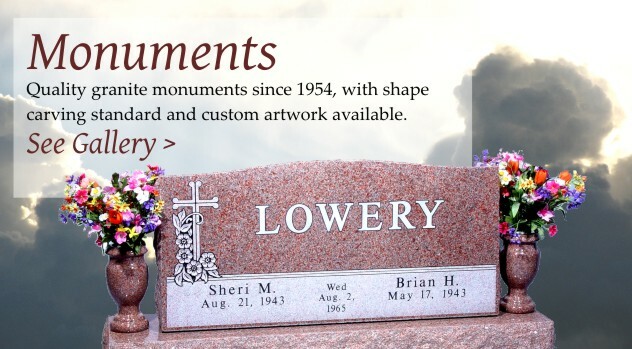 In almost sixty years of serving Southwest Missouri, we have crafted many thousands of memorials in every shape, color and size. Each one of these, down to the very first, is guaranteed in writing for as long as Wommack Monument Company continues serving our customers. 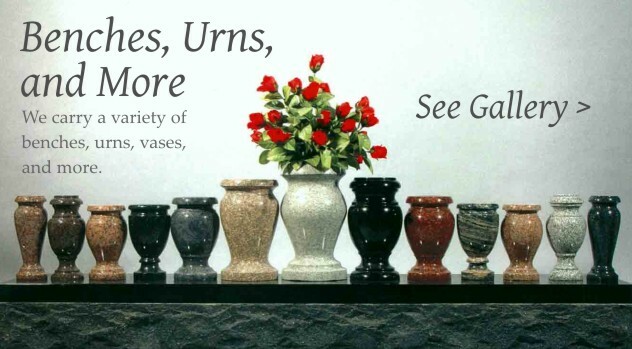 This guarantee, which offers peace of mind, is one major reason why so many people choose Wommack Monument Company. We are also noted for the impeccable quality of our work. Our monument craftsmen are just that - craftsmen, not merely machine operators. 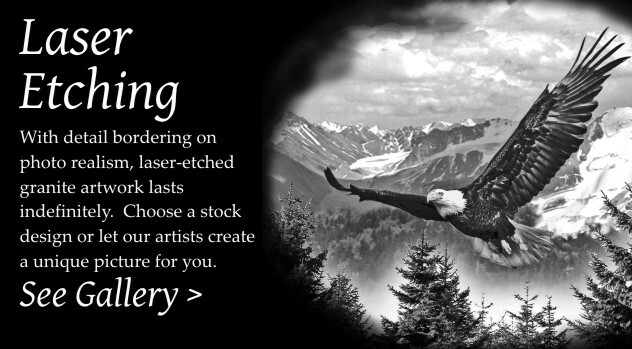 We still know and practice time-honored techniques like shape carving, but with modern methods and equipment that ensure the lowest possible prices for our clients. Please give us the opportunity to show you why Wommack Monument Company is an excellent choice to meet your needs.